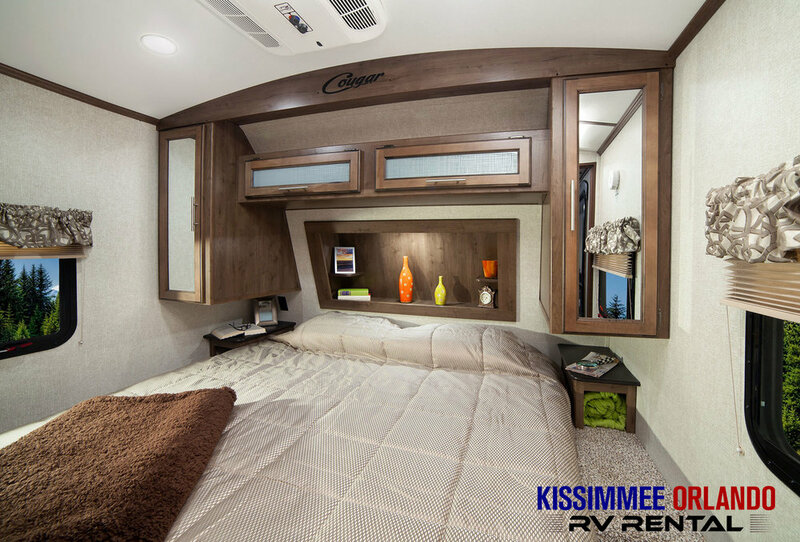 Our COUGAR 34TSB Travel Trailer is geared for the large family with children and even maybe a few extra guests! This ultra-spacious 2 bedroom bunkhouse leaves nothing out when it comes to comfort and entertainment. Enjoy the luxurious touches in the abundant living area inside with master retreat up front and spacious bunkhouse bedroom at the rear. 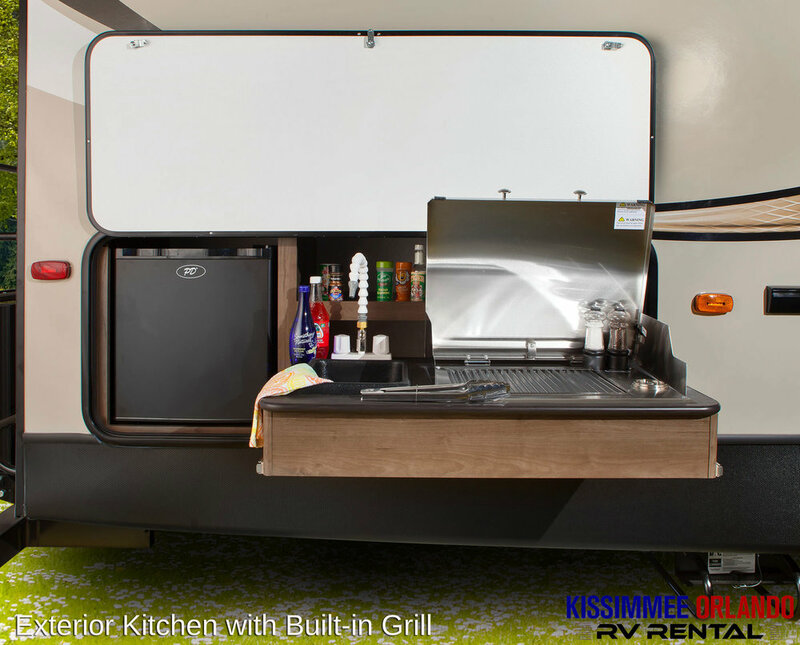 An outside kitchen with built-in grill and dual power awnings makes this RV a true crowd-pleaser! 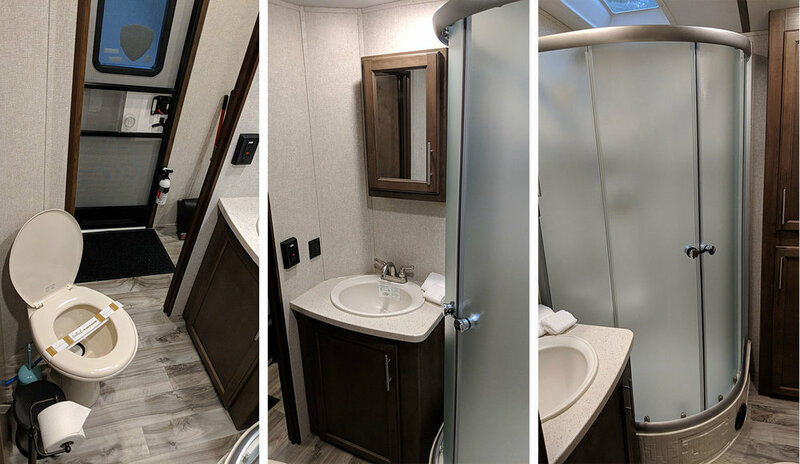 Your fully-outfitted RV rental will include everything you'll need for a relaxing time like pillows and bedding for all sleep areas, premium towels, paper products, pots, pans, flatware set, cutlery set, coffee maker, toaster, blender, rice cooker/veggie steamer, broom with dust pan, cleaning supplies/garbage bags, plus much more. Let us deliver, set-up, and all you have to do is show up and enjoy! Reserve your COUGAR 34TSB today! 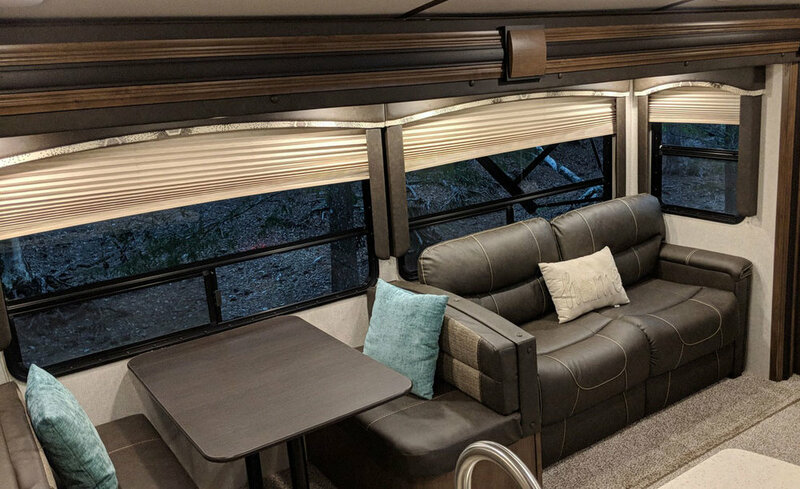 Reserve Our COUGAR 34TSB Travel Trailer Today!